Recommended Reading: Silo Trees in the New York Times! I saw an unusual spike in my stats for a Sunday. It turns out the New York Times recently did an article on Silo Trees and my February 2009 post, “Silo Trees of the U.S.“, is getting some link love! I enjoyed the New York Times article. If you get a chance, check it out! I didn’t realize it at the time, but the verb for what the ticks were doing is called “questing”. I learned this from the blog MYRMECOS where Biologist and Photographer Alex Wild managed to make this creepy behavior look beautiful. He posted some Tick Questing pictures last week. I recommend a look-see! 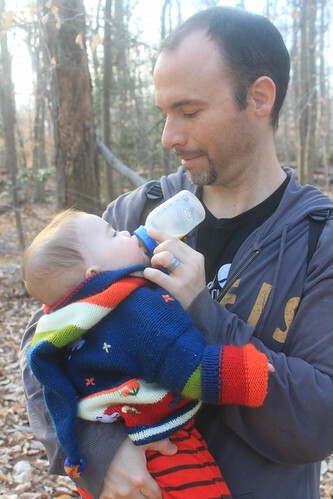 In February, we snuck in a family hike to Mason Neck State Park. 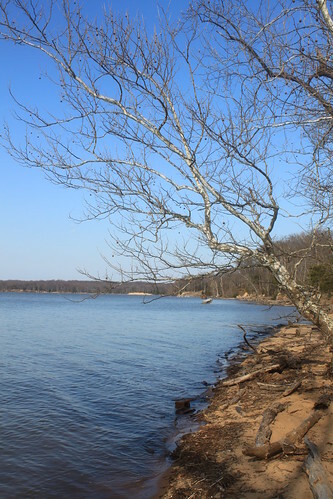 It’s an 1800 acre park surrounded by the Pohick and Belmont Bays. My mother likes us to try to tire out her dog, so her dog “Willy” joined us. 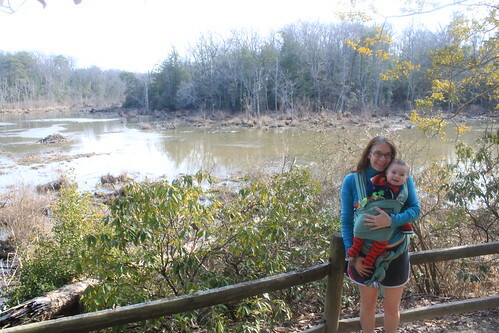 On our drive there, we passed by other parks and trails I had no idea existed. I grew up in this area, but there is still so much left for me to explore! 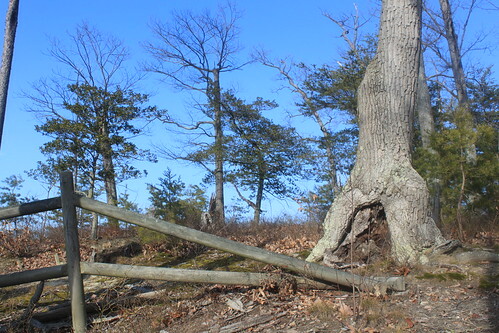 There are a little more than 8 miles of trail in the park– all flat and easy! 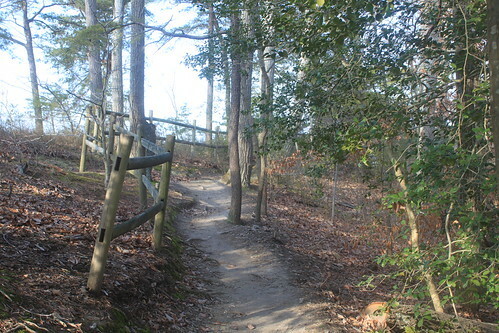 Three of the trails (Beach, Dogue and High Point) are handicap accessible. 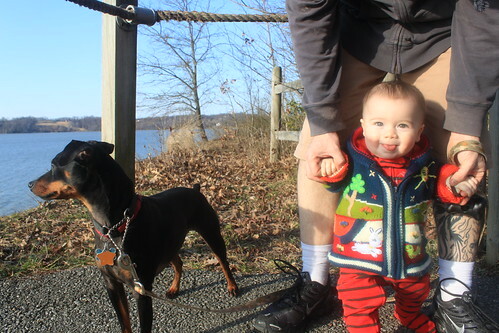 This sets the park up to be very conducive to family hikes. We did have to pay a small vehicle fee of $4, still a great deal for an entire afternoon of fun. We started at the Wilson Spring Trail, went along the Bay View Trail. Next we took the Beach Trail to Kent’s Creek Trail back to our parking lot. We did a quick loop on the Dogue Trail before heading back home. The only trail we missed was the Eagle Spur Trail. Off the Bay View Trail we saw a nice patch of Mountain Laurel that will be worth a revisit come blooming time. I found sycamores along the shoreline to be as captivating as usual. 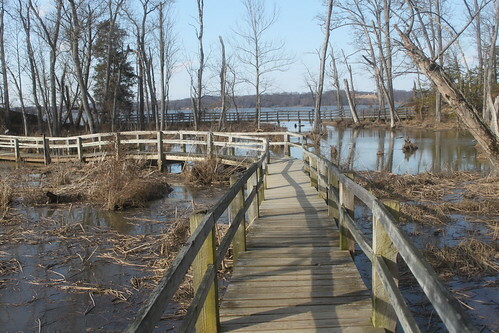 We saw snail shells in the marsh water on the Bay View Trail and plenty of water fowl throughout. One of the more interesting “fauna spottings” was a replica of a Bald Eagle Nest off the Beach Trail. 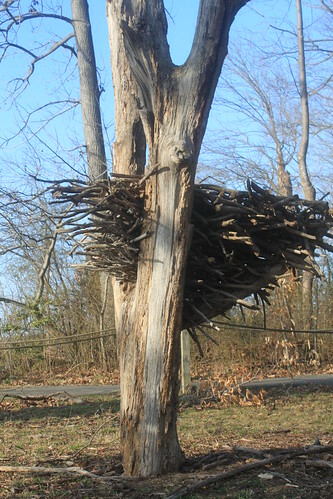 Although this particular nest was built by boy scouts, I was still taken aback. I had no idea bald eagle nests would be so large. We very much enjoyed our trip to the park and look forward to the return trips we will most definitely will be taking in the future. Turn right onto Harley Rd.